One of the most ornamental and colourful dance forms from the Indian sub continent is without any tinge of doubt, the Kathakali dance of Kerala. Among the most celebrated and prestigious dance styles of classical Indian origin, Kathakali is the one to definitely witness for. Developed in the south-western parts of peninsular India, epicentering on the Indian state of Kerala, Kathakali is renowned all across India and abroad also. The main form of the dance is a bit different from other traditional Indian dances as it is predominantly male oriented stage play dance. The dance is one of the most attractive dances in possibly the whole world. Kathakali is derived by joining two Sanskrit words -Katha and Kala. Katha means story and Kala means art. As the name suggests, Kathakali means dance performance of a story. The dances are performed by staging different mythological tales from the Hindu traditional mythology. The dances in this dance wear heavy and colourful dress, ornaments and facemasks of multiple & bright colours. 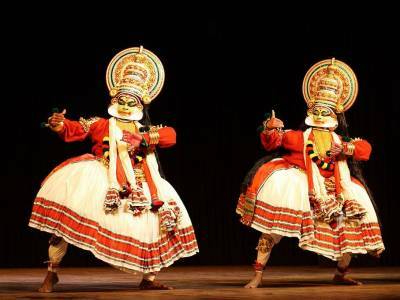 The vocals are all done in Malayalam language and the performance of dance is done by showcasing gestural eye movements and ancient martial arts posturing. 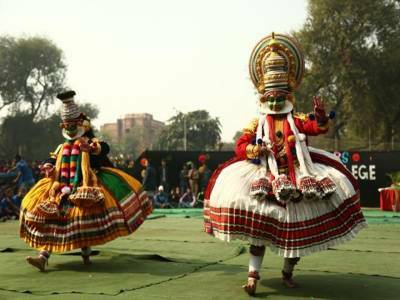 The history of the Kathakali dance form is still to be completely deciphered. The earliest mention may be found in the Natya Shashtra by Bharat Muni. The first 1000 years after the Christ can be said to be the developing period for Kathakali but its manifestation in complete form is found in 17th century CE. The Zamorin of Malabar region, first invented the Krishnattam and his rival Kottarakkara Thampuran created the Ramanattam. 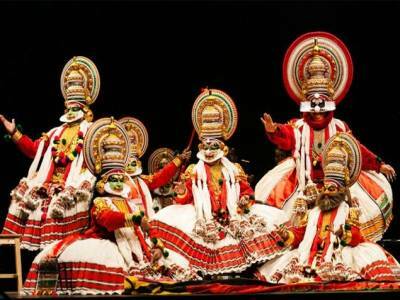 In course of time the king of Kottayam renamed Ramanattam as Kathakali and thus its name flourished. Principally Kathakali stages Hindu religious tales but now many other stories of fusion and other genre are being staged. 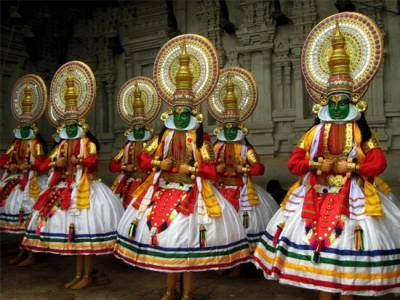 Get quick answers from travelers who visit to Kathakali Classical Dance.